7 163 Waterfall Louis S Son 1886 Sheffield, Yorkshire, England 15 Male Golf Caddy ? [S3] Birth Indexes, Compiler: General Register Office, June 1894 Ecclesall B 9c 369 (Reliability: 2). 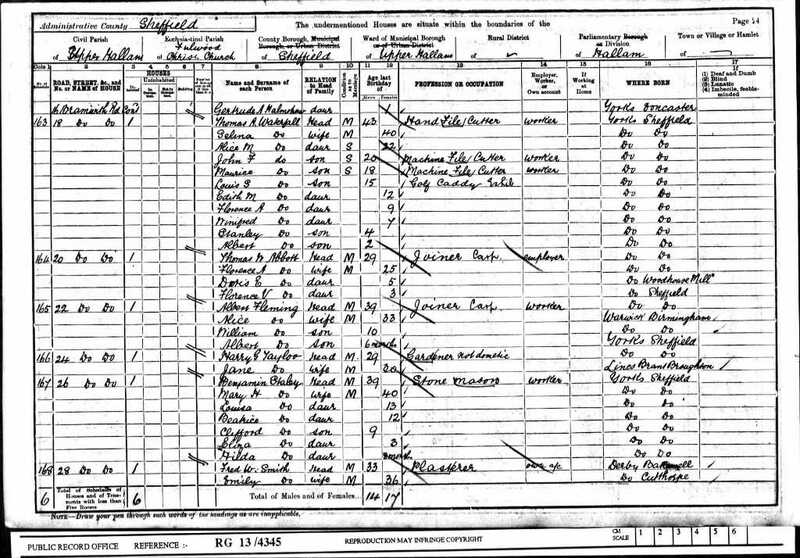 [S11] 1901 Engand Census, (Ancestry.com), RG13., RG13/4345 Folio: 84 Page: 24 (Reliability: 2). 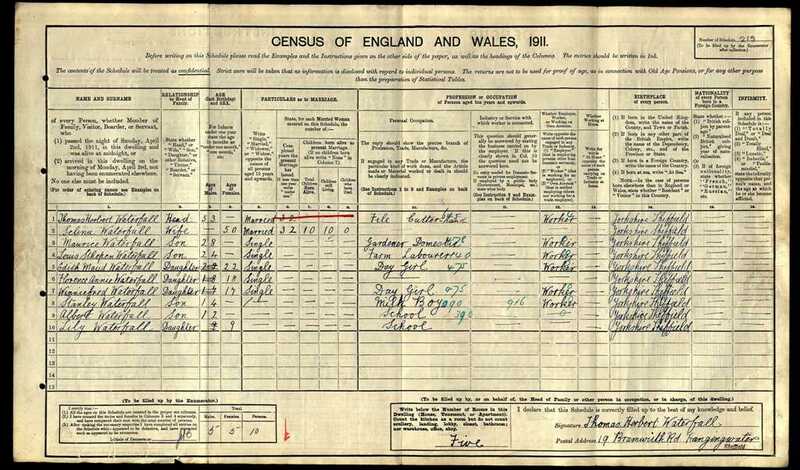 [S18] 1911 England Census, (Ancestry.com), RG14., RG14/27755 RD: 509 SD: Ecclesall We ED: 35 SN: 213 (Reliability: 2). [S1] Death Indexes, June 1977 Sheffield 3 1239 (Reliability: 2). [S2] Marriage Indexes, December 1878 Sheffield 9c 580 (Reliability: 2).